For the invasive measurement of ventricular pressure and volume in rodents (mice and rats). Obtain non-invasive blood pressure (NIBP) measurements from mice and rats with the NIBP System, in conjunction with a PowerLab system. Used to control flow of biological liquids for Langendorff or other isolated perfused organ preparations. A reliable, pulse-free peristaltic pump providing ultra-smooth flow. The Transonic Flowmeters provide accurate and precise measurement of fluid volume flow in vivo, in vitro and ex vivo, which can be recorded with PowerLab data acquisition systems. A perspex, single-chambered organ bath that is ideal for student classroom use. SuperLab software is used in stimulus presentation studies. 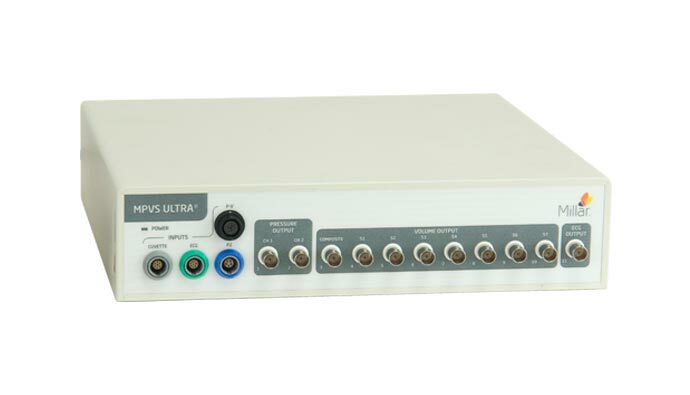 Self-contained Ussing Chamber Systems, available in single-channel and dual-channel models. Contact us using the Quote Request for Ussing Chamber pricing. Designed to maintain cardiac function of isolated heart preparations in constant perfusion flow Langendorff mode, and are available in recirculating and non-recirculating configurations. Several sizes are also available to accommodate different heart sizes including mouse, rat, guinea pig, rabbit or cat. Designed to maintain cardiac function of isolated heart preparations in gravity-fed constant perfusion pressure Langendorff mode, and are available in recirculating and non-recirculating configurations. Several sizes are also available to accommodate different heart sizes including mouse, rat, guinea pig, rabbit or cat.